Tinnitus, or noises in the ears, is most commonly accompanied by some degree of hearing loss. Even if you are not experiencing significant communication difficulties, you may have a hearing loss that you are unaware of. Even a mild hearing loss can lead to tinnitus in the ear. If you have signs of tinnitus and think that you may need a hearing test, you can use our online tool to get a free consultation from a hearing specialist in your area. While the specific mechanism causing tinnitus is unclear, tinnitus researchers agree that you are more likely to experience tinnitus if you also have a hearing loss. The damage to the tiny hair cells in the inner ear, whether it be caused by loud noise exposure, medications, or aging can lead to an increased likelihood of developing tinnitus. The pitch of a person’s tinnitus is usually around the same frequency (or pitch) where there is the most hearing loss. 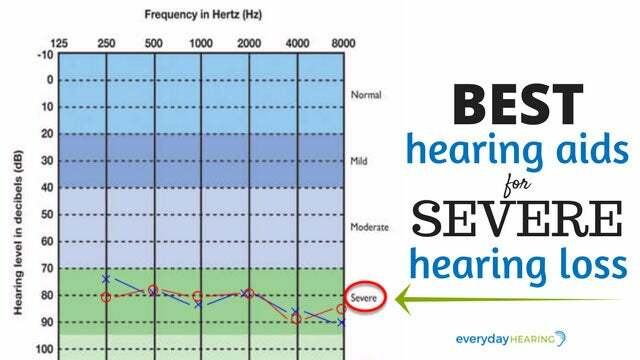 If you have a high-frequency hearing loss, it is likely you hear a high-pitched (high-frequency) ringing or buzzing. It is thought that the brain is trying to “make up for” the fact that there is little acoustic stimulation at that pitch by producing it’s own sound. Hearing Aids are not a “cure” for tinnitus, but they can help. When you experience a loss of hearing, the hearing nerve and the brain is no longer receiving as much stimulation in the specific frequency range where you have the hearing loss. For example, you may not hear birds chirping or pick up the “s” sound of speech if you experience a high-frequency hearing loss. When you begin to wear hearing aids, the amplification of the hearing aids will allow you to hear these sounds again, and in turn your hearing nerve and brain will receive the stimulation at those frequencies again. That is why, in many cases, when someone has tinnitus and hearing loss and they “treat” their hearing loss with the use of hearing aids, they also notice a decline in the level or severity of their tinnitus. With the hearing aids in, the hearing mechanism and brain is receiving more natural stimulation from environmental sounds and conversations. Even when in a quiet room, the hearing aid wearer will pick up sounds of their environment, such as the air conditioner hum or fan noise, that they likely did not hear without the hearing aids. The ability to hear more natural environmental sounds provides a “masking” effect for the tinnitus. It allows the hearing aid wearer to hear what they are supposed to hear and helps to “cover up” the tinnitus. In addition to traditional hearing aid use, the following are some specialized hearing aids that can go above and beyond to provide additional relief from tinnitus. Widex Zen therapy combines counseling, sound stimulation, amplification, and stress reduction. The hearing aid devices make use of the traditional amplification of the hearing aids, as well as Zen fractal tones. Zen fractal tones are musical tones that sound similar to wind chimes. The goal of the Zen tones is to provide a pleasant acoustic stimulation that can reduce stress associated with the tinnitus. There are several sequences of Zen fractal tones to choose from, as well as a white noise stimulation that can be added to the signal to achieve more “masking” of the tinnitus. An Audiologist who is trained for Widex Zen Therapy will be repsonsible for fine-tuning the devices for your particular needs. The Xino Tinnitus device, by Starkey, is a sound therapy hearing aid device that is used to mask or cover up your tinnitus, as well as take your focus off your tinnitus. The white noise sound stimulus is customizable by your hearing healthcare provider. 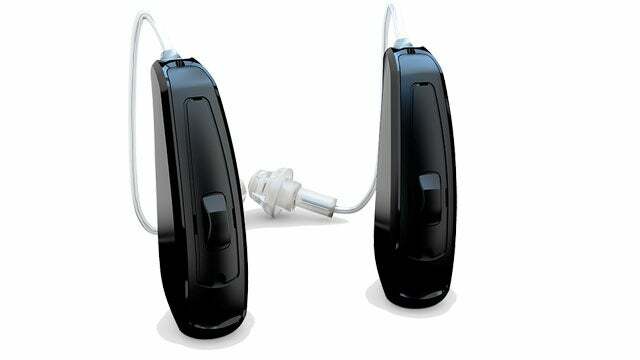 A combination hearing aid and tinnitus therapy device which aims to “blend” your tinnitus into the background. The tinnitus sound generator in the device is a white noise signal that can be adjusted by a professional around a certain frequency based on the wearer’s preferences. A volume control allows the wearer to adjust the level of the sound stimulus. You can read more about the ReSound LiNX Tinnitus Relief app here. Hearing aids can be used as hearing aids alone, or a combination hearing aid and tinnitus therapy device. 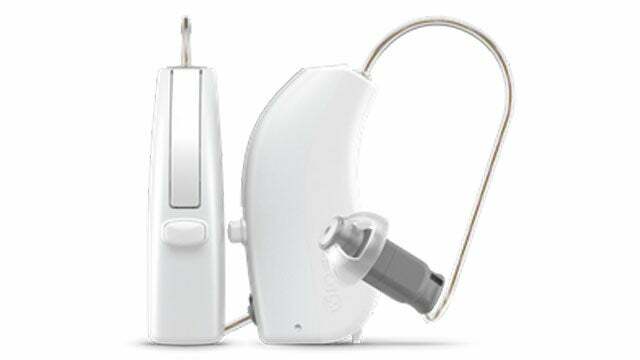 There are multiple therapy signals to choose from with Oticon Opn: white noise, pink noise, shaped noise, as well as 3 different ocean-type noises. Your hearing healthcare professional can fine-tune these signals to your preferences. The purpose of the therapy signal is to divert attention away from the tinnitus, making it easier to focus on external sounds. While there are slight variations in the therapy signal with these devices, the goal is essentially the same: provide amplification in the range where there is hearing loss, and reduce awareness of the tinnitus by delivering a pleasant and controlled sound stimulation to the ears. The result of using these devices can be relief from your tinnitus. If you don’t believe a hearing aid is the right answer for your tinnitus, there are some smartphone apps you should definitely check out. I can’t take this constant ringing much more. It is there all the time and then for some odd reason now my left ear will drop all sound completely which is nice since the ringing stops but I can’t hear a thing. How hard is it to sever the nerve and eliminate all nerve impulse to the ear. With no stimulation then the ringing would stop. I will be happy to let anyone try this on me. Please I got to get rid of this evil ringing that never lets me rest. I have tried noise canceling headset but that just makes the ringing much clearer. Any ideas? Hi William. Have you had a tinnitus evaluation by an Audiologist? They would be able to discuss your options with you. My mother had a brain tumor removed that was wrapped around her auditory nerves. It left her profoundly deaf in one ear. Her hearing loss is the result of the nerves no longer working since her surgery. Hearing aids can’t help her due to this. I have to tell you though, she still experiences tinnitus that drives her crazy. It’s kind of like when your toe itches on an amputated leg – It’s just a phantom sensation. So severing the nerve may not work. I take milde natural vasodilators to reduce my tinnitus. About an hour before breakfast I take 750 mg L-Citrulline, 500 mg Arginine and 500 mg L-Carnosine. To balance out the Arginine, twice a week , in the afternoon, I take 500 mg of L-Lysine. Are these over the counter? Do these have any other health risks? Interesting, can you be more specific as to the application of the vasodilators? Is here any clinical evidence of success, and are there any side effects? What do you mean by “To balance out the Arginine…?” Thanks! They are not over the counter. You will need to get them from an Audiologist that specialized in tinnitus. You can get them at any health store, Walgreens or Walmart. I hope by now you have found relief. I tried a number of “tinnitus” HAs and none helped until I tried the Starkey Tinnitus model. It has a number of tinnitus settings and only one of those helped – it is the program that sounds like waves slowing coming in, receding, coming in, and so on. The relief was immediate, and I was just about to go off the deep end. I understand Starkey has discontinued the model, but they very well may be able to program the “waves” feature into their latest models. Lots of the usual advice here. I too suffer from extreme tinnitus and have little hope after several years of researching the problem that there is any cure or single approach tom reducing the volume. If you go the drug rout with flexeril, tri-cyclics (Nortriptyline/ Pamelor), various benzodiazepines like klonopin, or valium etc., be very careful even if an MD does prescribe them. The literature shows than a consistent program of antioxidants (particularly glutathione or it’s precursors like NAD, alpha-lipoic acid, acetyl L carnitine plus co Q 10, bioflavonoids and c plus e is protection against more hearing loss. You can find all sorts of articles about brain function and tinnitus but suffice it to say that mindfulness meditation a la Kabat-Zinn is irrefutably a necessary part of any tinnitus reduction program. But, you must stick with it even if you don’t feel it’s working. It’s free so don’t obsess about how long it takes. Also, keep exercising and if sleep is impossible then take medication for that. Some say “tapping works as does EMDR, but I can’t say for sure. Try everything and ignore peoples sage “wisdom” as it seldom helps and the fact is that NO ONE really knows exactly what to do. In any case, as in my own situation this will take time and if you are truly at your wits end, get a therapist who deals with tinnitus…not just another well meaning, profit oriented shrink. I am in the very same condition as William, It would be a relief to hear Nothing instead of of all the high pitch stressful, painful noise! My comment is simply the bottom line. What is the cost of your base line model for tinnitus? Is it available here in Sydney and what are the adjoining fees? Al up, how much? I strongly recommend you do some research to help you understand what tinnitus is and what it is not. Although hearing loss and/or trauma to your ear(s) can be responsible for what you’re experiencing, tinnitus actually occurs in your brain, specifically in the audio cortex. Generally, your brain is expecting input from your cochlea over the entire range of frequencies humans can hear (20-20,000 Hz). The cochlea (a small seashell shaped organ in your middle ear) has tiny little hairs called “cilia”. The cilia are small at the entrance and get progressively bigger as you spiral in to the cochlea. The smaller, more fragile hairs vibrate in response to high frequencies; the bigger hairs to low frequencies. When these hairs vibrate, they send their signal thru the auditory nerve to the brain, where it is processed by the audio cortex. As we age (and/or are exposed to loud sounds or trauma at any age) , the smaller fragile hairs tend to get damaged and stop sending impulses, leaving the larger, lower-frequency hairs as your primary source of auditory stimulus. Think of the hairs in your ears like a field of hay swaying in the breeze, Aging and acoustic trauma can make that hayfield look like a 747 did a belly landing in it. So the celia hairs that are healthy and functioning are sending signals to the audio cortex, and the cortex is assuming that all of the celia are working as they should. So when they become damaged or wear out and stop sending their impulses, the audio cortex MAY decide to take drastic action. What do you do when you’re driving and the signal from the radio station starts to fade? You turn the volume up (increase sensitivity). That’s what your brain is doing for the frequencies it expects but isn’t receiving. It does this by growing more receptor neurons at the location in the cortex where the missing frequencies should be (think of the cortex as being like a piano). Two bad things can result when the amount of neurons at any given frequency location becomes excessive – self oscillation ( the cells create the expected frequency all on their own, similar to feedback created by a microphone jammed into a speaker cabinet) which (I believe) is the ringing we experience, and/or hyperacusis (sensitivity to loud sounds). It seems logical that hyperacusis would accompany tinnitus. If neurons build up at certain frequency points, then these will affect the frequencies just above and just below the point of loss. If the cilia are sending impulses at those frequencies and the cortex has ramped up the sensitivity near those frequencies, they’re going to be perceived as exponentially louder than they should be – to the point of pain. In my case, these frequencies sound distorted, compressed and seem to drown out everything else that is occurring acoustically. You probably know by now there is no cure for this if your brain has decided to react this way short of restoring the missing stimulus and hoping the excess neurons will deactivate themselves. And – until we discover a way to regrow flattened cilia, that’s probably not going to happen. Someday research will figure something out for us that will if not totally stop the ringing, at least turn it down. Interesting, so thats why we need to find the tinnitus frequency. So we can sympathize the frequency in hopes that our brain will “turn off” the neurons. Aaaa I see. Thnx for this lesson. I thank u again. I have high frequency loss, but I’ve never been exposed to loud noise. I remember though that I have always struggled to hear, especially in a group environment. I remember hearing a hissing sound in my youth, but it would not stay. After my dad died, it became permanent. I struggle everyday to deal with this. There are days when it becomes too much. You seem to deal with it pretty efficiently. I just listen to music at night and hope I can call asleep at one point. By the way I have a lot of compassion and respect for all that cope with this. It’s the hardest thing that I’ve ever had to deal with. Great explanation, Richard. Thank you! My doctor wants me to try hearing Aids he said that will alleviate the ringing that’s in my ears driving me absolutely crazy to madness what do you think? Thank you for such a great explanation….one that makes total sense. I have been experiencing tinnitus for about 2 years now. I believe it was caused by what I call a perfect storm. At that time I bought a Harley Davidson Vrod, and the loud noise coming out that pipe was too strong for my ears. It’s funny because at the time I bought it, it didn’t seem to bother me. Also, at the same time, but not frequently, I was taking a medication that I have learned can lead to Tinnitus. Anyway, it happened suddenly one night after taking the pill. I woke up the next morning with this ringing in my ears. It has been 2 years and hasn’t stopped. I have been taking Ginko Biloba, Garlic, and Ring-Stop. Also, my wife downloaded from the internet a sound therapy program designed by another person that also claimed to have Tinnitus. This therapy represses the sound in my ears and it brings me some relief. I’m just wondering if there is any real treatment that has been improving it to at least make the sound lower. I don’t believe yet there has been any advance medicine-wise that helps with growing or restoring the hair cells called “cilia” in the inner ear. Now my question is there any success story to this illness? Will these aids help with pulsetile tinnitus , sound of heart beating generally worse at night .thank you Gloria Lang. My tinnitus is a constant whooshing, regularly gets louder and then pulses with heartbeat (pulsetile tinnitus?). When the pulsing escalates, it usually leads to dizziness and too often to vertigo. In the last 6 months vertigo is more frequent and lasts longer with intense nausea. My hearing loss is -20 & signals vary by 40%. Can this sound wave tech help? Based on your symptoms I would recommend you consult with an ENT physician regarding your tinnitus and dizziness before pursuing these options. This is crazy? It’s making me depressed. I’ve been to3 ENT doctors. Taken those pills that are a waste of money. I rather be deaf than to have tinnitus. My tinnitus started after I was in a bad car accident. I was knocked unconscious. Being that this can’t be proven by doctors. I also have to take a loss in not being compensated. Somebody has to know how to fix this. I would recommend you see an Audiologist that specializes in tinnitus. They are better trained to help you manage your tinnitus and its effects. How do I find out who is the best in Houston to treat tinnitus. I would recommend going to ATA.org and searching for a tinnitus specialist in your area. I live in SW Florida, any specialists in my area? I am at my wits end & would give anything to get help. of my mind for a while now. Costco has a pair for $1700. Can you get the Starkey hearing aid at costco? I think that’s the one that may be the best one to help with tinnitus. No, Costco does not sell Starkey aids. I would not recommend Costco for help with your tinnitus, you need to see an Audiologist or ENT. My tinnitus is in both ears but right (where I have a lot of hearing loss) is terrible. 3 or 4 different constant sounds and then a piercing sound now and again. Driving me crazy. I have found taking 2 Bayer Aspirin in the morning and again at noon, then Tylenol pm at bedtime does help a little, I try not to think about it & put it in the back of my mind which doesn’t help much, I’m trying to find headphones with white noise. Is there such a thing. I have found that listening to yoga music with waves in the background does help me sleep. Would love to be able to sleep more that 3 hours at a time. sigh. Just be optimistic, we are not alone. Well after reading all the information, I still don’t know which hearing aid might help my ringing ears. And yes the price is out of site. Can somebody please reached out to me. I’m going crazy! If you live in Missouri we have 2 options there is vocational rehabilitation that will help pay for hearing aids if it affects your job. If you constantly have to have people repeat themselves, or just people thinking your being rude or ignoring them or if there is a possibility of you being injured due to your hearing . Usually tinnitus can be helped with 2 hearing aids. We also have the center for hearing and speech. Hearing and speech goes by a sliding pay scale. Maybe if you do some research there might be places like this where you live. I have tinnitus for 18 yrs it came on when I was on no meds at all.. . I have been to no less 15 doctors who specialize in this and after everything I have done witch as included meds, injections in the ear, masking ear devices (several), removal of meds I was taking for something else, vitamins, noise machines, sedatives, classes, retreats and so on and after all this I have the same intensity of ringing as I did before. With the billions spent on this problem why is there not a cure or even a improvement in the treatment for this aflection ? But one thing I have learned with all the treatments I went threw “every” doctor I went to had a different agenda on both treating and diagnosing. Most said it was my meds or my age, neither had a concrete solution, just theories on the possible treatment. None had a success track record they could prove either. Money was no object here, I went to Mayo, Columba, NYC HFSM to many so-called expert doctors in this field all over the country and received the same run around every time. I now realize that this is a real money making illness for everyone in the medical profession and just like the common cold , treating the symptoms not the cause is the protocall here. Don’t get your hopes up there is a cure out there or a book that will teach you something, your stuck with it and at best it will subside on its own someday. I disagree completely. As a tinnitus “sufferer” for forty years I have found that having a hopeful and positive attitude is very important and will make life a much better experience than having a negative outlook. Any (and perhaps all ) books that will assist you to have a positive outlook can be helpful. Acceptance of the condition as well as getting good medical information and advice is critical. Do not lose hope. I have had tinnitus for forty years. At first I thought it would not be possible to live with the ringing that was caused by noise trauma. I fought the tinnitus and was very very stressed by the persistent ringing. This affected my sleep significantly. After a period of time (can’t remember now how long but I think it was a couple of weeks) I found that acceptance helped (a lot). Over time the acceptance attitude helped me to identify what worked and what didn’t. Getting sufficient sleep seemed to make a considerable difference. Reducing caffeine helped. Aerobic exercise helped. As time went on my mnd seemed to be placing the tinnitus in the background rather than in the forground. This came gradually with acceptance and it was noticeable. Realizing that the brain was adapting and “moving ” the tinnitus to the background felt like an important “discovery” for me. I gradually felt as though I could live with this condition as i discovered ways to place it in the background such as paying attention to all sorts of things that were interesting to me. Now forty years later I am retired and not so concerned about cosmetic appearance and have just purchased a set of hearing aids (one month ago). That’s how I got to this site. I’m now learing how to use the tinnitus masker in the hearing aids. It helps. The adjustmet process I mentioned earlier is the most important thing though. Acceptance and actively doing as many things as you are comfortable with to place other interests in the foreground. This tends to place the tinnitus in the background and thats a good thing. specifically what model make hearing aides did you purchase? Thank you for your good advice. My tinnitus started on July 9th and for the first two weeks, I was feeling trapped and was unable to do anything. When I realized how it distressed my husband, I decided to not let it affect me. It isn’t easy but I think what you said makes a lot of sense – to accept it and to focus on other things so that the tinnitus is in the background and not in the foreground. I know it will be a lifelong struggle but I try and remind myself that there are also many things in my life I am grateful for. I just read tha there is a breakthrough of an app developed to be available to help tinnitus !!! It is proven to help tinnitus. Don’t give up. What is the name of the app? I’ve tried several. I am trying an anti-inflammatory diet right now. And I would like to say that is helping me with the ringing in my ears. I have been following this diet for about 3 weeks now, without any deviation. I made some improvement from where I was before. After having Tinnitus for two years now, I started having some inconsistencies in the sound in my ears. I was feeling frustrated and scared at the same time. I never had to worry about what I was eating, nor did I follow any diet. One night I went to bed after having dinner with my wife. We had shrimp over linguine. Maybe it was the amount of salt and lemon and all the spices that I put in, but around 3:45 in the morning I woke up with this super loud sound in my right ear. It lasted about 7 minutes and it was something I couldn’t control. I talked to my daughter (she is vegan) and she gave me an anti-inflammatory diet which seems to work. Last Saturday I was feeling so good (hardly could hear my Tinnitus) and I went out for lunch with my wife and had falafel with hummus (delicious), but shortly after the improvement that I had, it went down the drain and started ringing extremely loudly again. I have been drinking at least 10 glasses of water every day trying to flush out all the toxins out. I guess what I am trying to say is following an anti-inflammatory diet kind of works. Make sure you do not deviate. It’s possible it might help some of you, especially if some of the inflammatory foods (dairy, high sodium content, etc) affect you. I have had tinnitus for 10 years now and I can’t say it bothers me much. Acceptance is key, I think. Everyone has problems of some sort. I just think “It is my reality, I live a life in which there is a constant whine like a cicada in my ears” and get on with it. Other people live with far more difficult conditions. The fact that other people may have greater difficulties in life doesn’t mean that ours or minor. Tinnitus is a difficult and disruptive force for many. It can feel maddening at times, and significant loss of sleep can be debilitating. This is not just a minor inconvenience for some of us. What I’ve found to work is a particular You Tube video where the sound generated matches the frequency of what I’m hearing, 10,000 Hz. And this one doesn’t generate any white or pink noise. Instead it produces the frequency in conjunction with the sound of wind and it was created by a French audiologist . There are other frequencies he created as well. But after talking to my cousin who’s an audiologist, getting hearing aids probably makes the most sense(though the use of the video at night while I’m sleeping has been quite effective and this is based on what’s called the Levo system which certain audiologists can prescribe). Thank you for the feedback Mark! We will check it out! Seeking Tinnitus help in Buffalo, New York. Any recommendations? I’m 67 and have had intermittent mild-moderate-severe tinnitus for about 2o years. Comes and goes. My hearing loss was getting worse and I tried hearing aids a year ago. Had tests done by a professional audiologist and eventually bought at Costco after getting a lot of very positive feedback from satisfied customers. After wearing the hearing aids for one day I awoke the next morning with ringing louder than I’ve ever had. Didn’t use them again and it took a few days for the louder ringing to subside. Both the Costco tech and my Otolaryngologist said they didn’t understand why this was happening. Tried again a week later, same results. Returned them to Costco for full refund. My hearing is not getting any better…neither is the tinnitus, and I really need some help. Can anyone relate and be able to offer some advice from personal experience? When it comes down to it, you need to get hearing aids from an audiologist that has experience in tinnitus management. You will pay more for the hearing aids from the audiologist, but what you are paying for is their expertise in solving your particular problem.